Unleash Systematic Innovation in your Organisation with TRIZ! 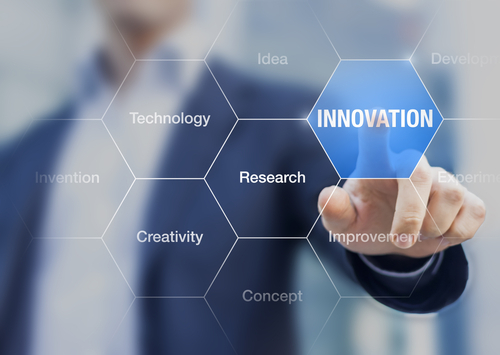 Innovation is vital to gaining and sustaining a competitive edge in today’s global markets. Your organisation’s ability to quickly and successfully solve internal problems and customer problems are key to your organisations survival and ongoing growth. Enhance the problem solving, ideation and innovation skills of your team. Improve and innovate the design of your products. Reduce product design failures and warranty claims. Improve safety, quality, process and product reliability. Solve internal problems quickly and successfully (and customer related problems are key to the survival and ongoing growth of your organisation). But what does business innovation mean to you and your team? Developing something new, different, smarter or better that will make a positive difference inside the company or outside of it. Looking at problems your customers have and developing quality solutions that eliminate these problems, creating more value for them. Foreseeing the problems your customers will have, building products and services to eliminate these problems and be the first to market with them. Constantly seeking to do things better. Organisations that value and embrace innovation create a competitive edge in their markets. Quality of products/services is the norm; they are not unique selling points. Being a cost leader creates no long term brand loyalty – but products and services that create real value do. Innovation in your business doesn’t have to be an invention that changes the world, and it does not have to be limited to engineering, scientific or technology-based industries. True business innovation touches every part of your organisation – you can be innovative with your products, service delivery, or in how you do business internally. TRIZ encompasses a structured method for creative thinking. TRIZ includes a theoretical base and various analytical and knowledge-based tools that help individuals invent and resolve complex problems in a systematic and repeatable way. TRIZ was developed by Genrich Altshuller, a Russian inventor. He began developing TRIZ in 1946. He and his associates continued development until 1985, when health problems forced Altshuller’s retirement. Subsequently, the Kishinev School in Moldova (CIS) advanced the science beyond its classical form in order to overcome certain weaknesses in the methodology. In 1992, the members of the Kishinev School immigrated to the United States where they continued to advance TRIZ, with an emphasis on adapting and disseminating it. After successfully introducing TRIZ to local companies our principal Jimmy Conway received an invitation for extensive training in all aspects of the TRIZ and I-TRIZ methodology. This training was carried out in Detroit, USA with the original founding members of Kishinev school that worked closely with Genrich to advance the methodology. A fully integrated and comprehensive approach to Inventive Problem Solving™ that fills in the “gaps” present in the earlier form of the methodology. New applications that include Anticipatory Failure Determination™ (failure analysis and prediction), and Directed Evolution™, a process which evolves future generations of products, processes and technologies. New analytical and knowledge-base tools, and enhancements to classical TRIZ tools. The I-TRIZ methodology assists organisations with innovation, problem solving and ideation by providing a systematic framework designed to enhance creative ability enabling individuals to think differently in terms of viewing, analysing and resolving a problem. A suite of software products is utilised to accelerate the problem solving, innovation and ideation process. I-TRIZ uses the world’s knowledge. I-TRIZ is systematic and repeatable. I-TRIZ is based on proven and successful patents. I-TRIZ can be used individually or in groups. The I-TRIZ process makes everyone creative. I-TRIZ is not just for engineers. I-TRIZ uses the trends of technical evolution to show us how to predict new markets and new products/services. I-TRIZ accelerates the solution design process giving organisations much shorter time to market lead times. What type of organisations use TRIZ & I-TRIZ? The engineering community, including the areas of design, R&D, manufacturing, safety, reliability, quantity, and others. The science and application of TRIZ is continually advancing and is now being applied to areas of business such as process improvement and strategic planning. In New Zealand we have run TRIZ workshops and ongoing training with a range of manufacturing, engineering and service organisations. In May 2016, we were honoured to host the pioneers of the I-TRIZ Methodology here in the Bay of Plenty, which you can read about here. The Drilling Team at Contact Energy have been working with Jimmy Conway and Freeflow Partners for a couple of years since being introduced to their work at other companies across the Bay of Plenty. a number of tools such as Strategy and Tactics Tree, Current Reality Tree, 5S, TOC, Critical Chain Management. Jimmy also introduced the team to a Russian problem solving methodology called TRIZ and bought its foremost practitioners Boris Zlotin and Alla Zusman to Taupo in 2016 to run a 2 week workshop using the tool. A number of workshops were held to generate ideas to solve tricky problems the teams were grappling with. With the Drilling team the workshop focused on generating ideas on how to clean our wells out that scale up with calcite and silica. 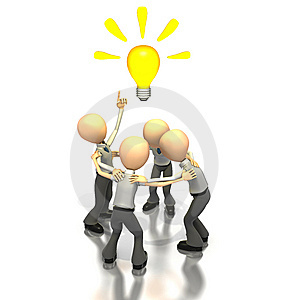 Currently the team employs 4 methods but with TRIZ over 90 new ideas were generated. From these 90 the team is now working on investigating a further 5 methods and hope to add some of these to their armoury of tools in the future. Jimmy has a great skill in identifying opportunities that exist within our business for improvement and finding the right tool or methodology to apply to the problem . Jimmy has showed great dedication to understand the intricacies of our business and has an unwavering drive to help Contact develop their collective intelligence around continuous improvement. Jimmy is a thorn in the side of complacency and does not allow us to take our foot off the pedal with his weekly visits, checks on progress and his weekly problem solving questions. Tangible benefits are hard to quantify sometimes especially when you are changing a culture, but what is evident is the felt impact of our interaction with Jimmy. The Drilling Engineer’s now take a completely different and much more wide angled approach to problem solving, allowing themselves the time to think beyond their own experience and avoiding jumping to solutions which ultimately has great benefits for both the development of the individual and Contact Energy.